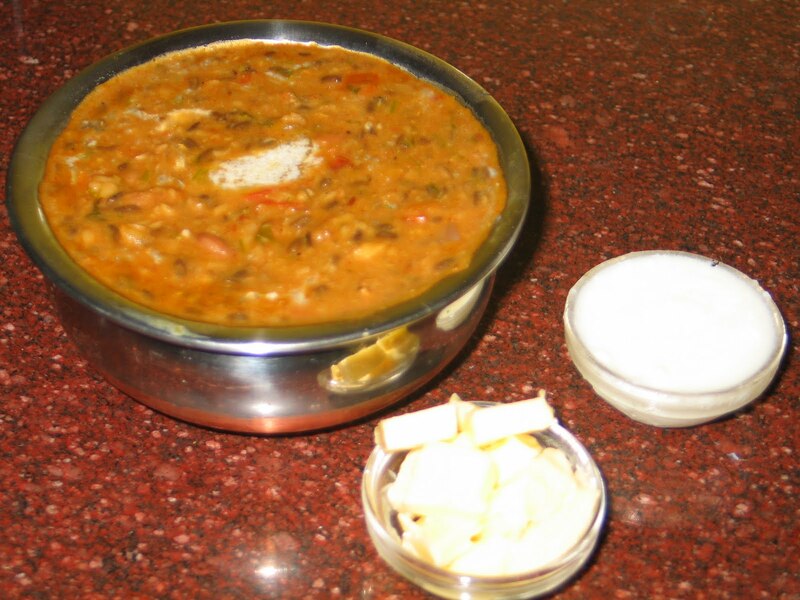 Foodmantra: Dal Makhani.. Something was Missing! I tasted the Dal Makhani but the smoky flavour was missing. To add in the smoky flavour instantly, you can take a small piece of coal, heat it over the flame till it gets red hot. Then keep this coal in a steel bowl and place it over the dal on top of an empty steel bowl inverted so that the dal does not enter the bowl with the coal. Now, add a dollop of butter or homemade ghee on the red hot piece of coal and cover the dal with a lid for five minutes before serving. 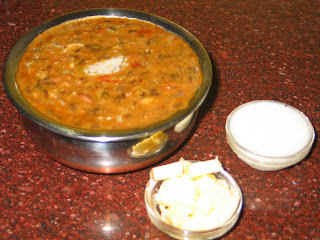 You will find this Recipes, it the Recipes Section of this Blog under the heading; Dhaba- Style Makhani Dal.. Now Anyone can make It..